Lock problems can be a nightmare but don't worry. Whether you’re locked out of your house, car, business or just need a new key cut, our Auckland Locksmiths at LockSmart can sort you out. If it is an emergency just give us a call on 0800 33 41 22 or make an enquiry online today! LockSmart is a New Zealand owned & operated company with locksmiths covering the greater Auckland area and specialising in residential, commercial and automotive locksmith services. Our Auckland locksmiths at LockSmart pride themselves on high-quality workmanship and a friendly and professional manner. With more than 15 years’ experience locksmithing in Auckland, we have built our business on a solid commitment to top-notch security solutions, customer service and a considerate approach to our work with your safety and security in mind. Most importantly, at LockSmart Locksmiths we understand that security and privacy is vital to you. 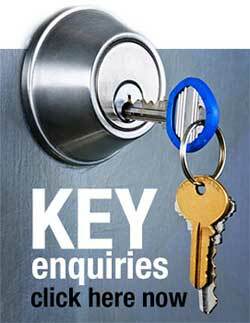 Whether it’s your home, car or business - our Auckland locksmiths are here to help. Wherever you are in Auckland including the North Shore, South Auckland, East Auckland, West Auckland or Rodney, one of our mobile locksmiths can come to you anytime. LockSmart is now able to assist with all automotive key replacement, even the late model cars! If you have lost your car keys or just need a spare key cut were here to help. We can programme all the latest transponder keys for any vehicle on site and in no time at all. Give us a call today and our expert automotive locksmiths will be available to answer any of your questions. At LockSmart we stand by our work and the products we use so we offer a 24 month warranty on all our locksmith work. If there is anything at all you are not happy with we will have one of our friendly local locksmiths rectify the problem at no charge. All of our hardware is covered by a minimum 12 month warranty but with some items we are offering as high as 25 year mechanical warranty. Call LockSmart now on 0800 33 41 22 to talk to us about our residential, commerical and automotive locksmith services throughout Auckland.